An exceptionally diverse landscape and varied wildlife have made Yellowstone National Park one of America's most popular parks. Kids will appreciate attractions like Mount Washburn and Beryl Spring. Spend the 24th (Wed) exploring nature at Yellowstone National Park. 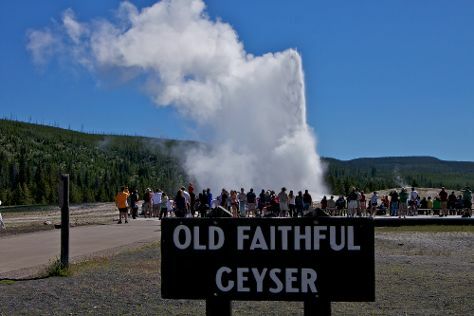 And it doesn't end there: explore the stunning scenery at Grand Canyon of the Yellowstone, make a trip to Artist Point, witness a stunning natural landmark at Beehive Geyser, and look for all kinds of wild species at Hayden Valley. To find traveler tips, maps, more things to do, and tourist information, you can read our Yellowstone National Park road trip planning tool . In July, daily temperatures in Yellowstone National Park can reach 73°F, while at night they dip to 39°F. Wrap up your sightseeing on the 25th (Thu) to allow time to travel back home.